On 1 August 2015, Somaliland’s Government initiated its national campaign to alleviate the harsh situation caused by the prolonged drought in the country. Ordained by the President Ahmed Mahmud “Silanyo”, the emergency campaign aims to provide water not only to thousands of people but also to livestock in communities living in affected areas. The Gabile Regional Governor was the first State official to implement the operation with the support of 100 water trucks. Meanwhile, representatives of the Western region of Somaliland have urged the international community to “act expeditiously in order to save lives”. 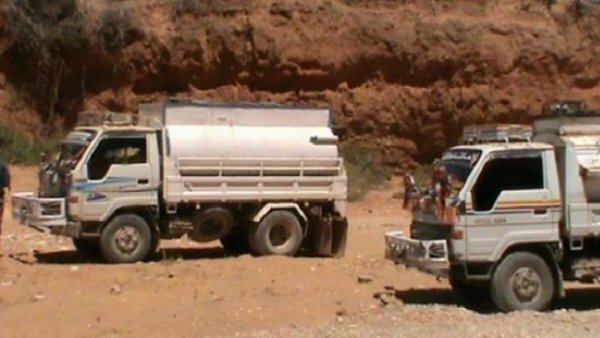 Major water supplies operations in all parts of Somaliland affected by have been initiated by the government. This nationwide campaign to help alleviate sufferings within communities in areas hard hit by prolonged drought in the Country were ordered by the president Ahmed Mahmud Silanyo in Burao town the capital of Toghdeer region. Announcing the water supplies operations in Burao town the minister of information Abdilahi Ukuse flanked by state minister for finance Osman Abdilahi Sahardiid said the campaign which starts on the 1st Aug shall concluded as and when citizens and their livestock are no longer suffering from thirst. "Every area in Somaliland affected by drought shall have a water truck at hand to cater for the needs of both citizens and livestock" said Ukuse. In a related event, legislators representing the Western region of Somaliland in parliament have appealed for drought relief from international donor organizations as well as from both local and foreign based well wishers. "We urge the government and international donor organizations to act expeditiously in order to save lives of both human and livestock in the Country's western regions (Gabile, Awdal and Selel) ravaged by drought" read a statement released by the legislators during a drought appeal function in Hargeisa. "Since you are all aware of the prolonged drought affecting most areas of Awdal and Selel regions we hereby appeal to our brothers in the rest of the country, the government and donor organizations for urgent measures especially availability of scarce water. Among those present were MPs Abdi Mahmud Jama 'Gagale', Ahmed Dahir M Jirde and Abdirahman Ahmed as well as a number of elders from Guurti and clerk the upper chamber of parliament. Meanwhile, the Gabile Regional Governor Mustafa Abdi Isse 'Shine' has become the first state official to implement the presidential water supply directive with a pledge of 100 water trucks that are earmarked for availing water to drought stricken residents of his region.